Get Up Close & Personal & Learn how to start your own health & fitness center. 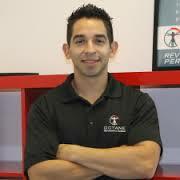 Jason is a San Antonio gym owner of Octane in the business of giving his clients phenomenal results while making great margins. In a short couple of years he’s grown to healthy 6-figure business and working 15-20 hours per week. For free 15-min growth session email Jason at: jason@octaneathleticperformance.com, on this growth session he will provide his expertise on the fitness industry to get you started the right way. Jason discusses his why he is so passionate about health & fitness. This entry was posted in Health & Fitness, Uncategorized and tagged Excercise, Fitness, Health, Income, Income Online, Mastermind, Money, Online Income, Online Personality, Product Launch, Profits, Revenue on November 30, 2015 by ArJay the Digital Professor.